Speaking of it, that wasn’t allowed everywhere. In soviet times the saying “boogie on the bones” was popular. This, by the way, was the initial title of the famous movie “Hipsters” (“Stilyagi”) by Valery Todorovsky about the music of 1950s. This saying originated during years when jazz was banned because the phrase “One day he is playing jazz, the other motherland he sells” was familiar to every decent citizen. 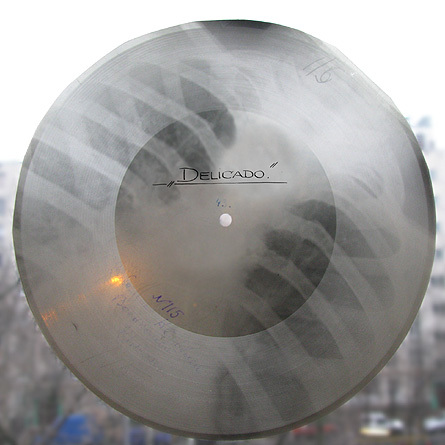 However, music lovers, not being able to purchase a vinyl with longed-for tracks, used to re-record either trophy or bootleg plates to large-size x-ray films (the were also called ‘ribs’ or ‘records on the ribs’). Soviet audience had every right to envy their western fellows for they had no such restrictions and could easily spend their hard-earned on favorite music. Many a man acquired collections that required separate rooms and sometimes even apartments. Now that we’ve mentioned it, one of the most famous collectors of jazz vinyl is Japanese writer Haruki Murakami. According to the author, we would never have read both “Norwegian Wood” and “Kafka on the Shore” if it wasn’t for the music of Charlie Parker and other performers. In 30 years Haruki has gathered over 40 thousand jazz plates. One can find mention of the style in just about every single work of his, let alone “Portraits in Jazz”. Back to statistics, the largest number of vinyl records is in possession of Pennsylvania citizen Paul Mawhinney: there are 3 million items according to his calculations! It took him 50 years to gather all this stuff. As far back as in January, 2013 he set them for an auction valuing them at 50 million dollars. The buyer hasn’t been found yet but the collector keeps his chin up. Paul says only 17% of his “selection” exist in soft form. Remaining 83% is unique music not preserved otherwise. 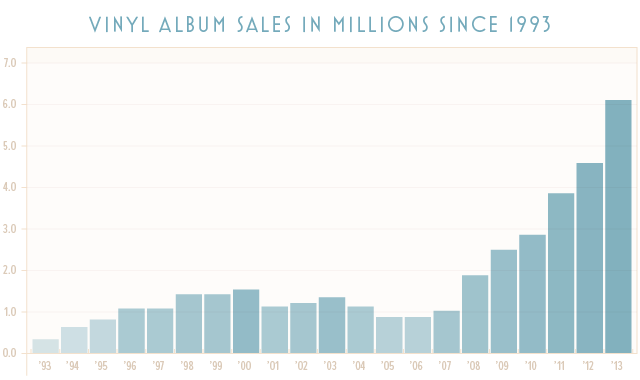 Our days, with all the diversity of formats and gadgets, is called vinyl’s second heyday. 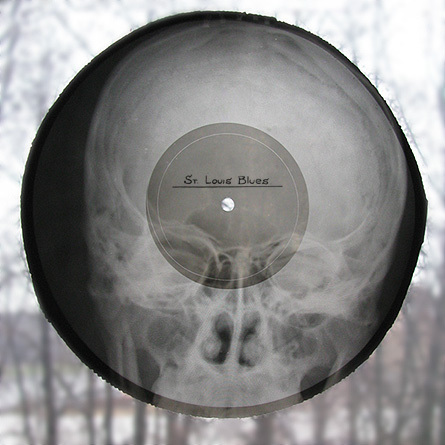 Having had enough of “games” with megabytes and hard drives, music lovers and musicians get back to plates. Zemfira recently presented her new album “Living in Your Head” on vinyl. She was followed by U-Piter, Chaif and scandalous Shnur with his Leningrad. More and more admirers of good music acquire vinyl record players saying that it is the only way to delight in it, and it is nowhere near a hipster’s whim. Speaking of jazz, it never actually left vinyl: both during Koktebel festival and in Blue Bay precious packages with records of modern virtuosos are well sold and bought. It is very well possible that in the era of global piracy and torrents it is much wiser to release albums not on discs with their plain sound but on good old plates that not only crinkle but also warm a soul up creating a unique atmosphere. And, most importantly, a music lover is ready to pay for such a medium: vinyl sales increase around the globe. 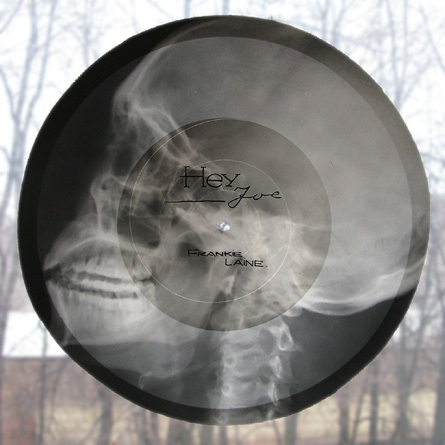 By the way, according to experts, vinyl is quite an attractive investment. It doubled its price within last 10 years. And since many labels folded up and albums of legendary bands will hardly be released again, collectors rub their hands because their fortune will soon become even more remarkable. Today already a rare record of an iconic performer can cost up to 15 thousand dollars. Besides, modern performers try to keep apace, too, and although the year isn’t over yet, preliminary balance can be stricken. On the 28-th of November in International centre of culture and art in Kyiv there was a festive concert of Arabian and Andalusian songs dedicated to the 73-rd anniversary of independence of Lebanon organized by the Embassy of this state to Ukraine and personally Ambassador Extraordinary and Plenipotentiary Mrs Klod Al Hajal.